FREE SHIPPING on FIRST and REPEAT DELIVERY orders! NEW Customer FIRST order ships FREE. REPEAT Delivery orders ship FREE. Helps with total body detox and counteracts free radical damage; supports the health of cellular DNA. * VIBE provides a nutritional foundation that helps support numerous body systems and functions. The natural flavor is a pleasing treat when added to water or juice. Formulated to support health goals related to the heart, immune system, muscles, bones, digestion and neurologic function, it contains concentrated fruit, vegetable and aloe vera extracts, amino acids, phytonutrients as well as a specialized and decaffeinated green tea EGCG catechin complex. * Liquid fast and easily absorbed. Helps cleanse the entire body, especially the liver, gallbladder, colon and blood; also helps to "deodorize" the body. * Chlorophyll+ Greens Complex has many health benefits as it is an internal conditioner, digestive tract detoxifier, supporter of healthy oxygenation and cellular membranes as well as intestinal and circulatory health. It is also a body deodorizer. Supports aluminum removal from the soft tissue and helps support energy production. * Eniva Muscle Aid provides a generous serving of Malic Acid to promote optimal levels of energy production within cells. * Muscle Aid utilizes Eniva's proprietary aqueous delivery system to provide enhanced absorption for maximum effectiveness. * This product helps to support muscle wellness, a healthy energy level, and endurance. "I did the Eniva Cleanse and Detox Program and I was amazed. I lost 5 pounds and 2 inches off my waist. My belly felt flat and my pants were loose! I also noticed my skin looks healthier… even my family and friends asked what I had done." - Lu B. "I just completed my first 7 days and it was great. Overall I lost 6 pounds and 9 inches and I'm very happy with the results. My energy was high and the program was easy to follow. I combined all the ingredients with water and ice and used my Nutra Bullet to create a great smoothie for the morning and afternoon and it was terrific! With everything combined the texture was perfect!" - J.M. "Last night was my completion of the 7-day Detox and Cleanse system and I want to tell you about my results: I lost a whole inch off my waist (32" to 31") and I lost 3 pounds (129 to 126)! I trust Eniva, so when I started having allergic reactions to food about a month ago, I thought about doing a detox and cleanse. Thank you for such a pure and easy-to-take product. I feel so much better both physically and emotionally and have more energy than I did before!" – L.N. "I was amazed at the results I got with the Eniva Detox & Cleanse Program. I lost 7 pounds in one week, and my whole body felt like it had a fresh start." – A.T.
"My husband and I started on the Eniva Detox & Cleanse Program and immediately began tracking our progress. After 7 days, our results are in: I lost 6 pounds in my weight and 1.5 inches in my waist. My husband, who is actually fairly fit. lost 2 pounds and his waist size decreased by 2 inches. We are believers in Eniva's program!" – M. & E.
"Worked excellent! I lost 8 pounds and 3 inches! It's just what I needed to restart healthy patterns. Amazing kit, and I'll definitely be ordering again." – A. Many Detox and Cleanse Programs have very little nutrients to keep your energy level up and your body feeling nourished. Eniva's Program provides you with four nutrient-dense supplements to keep you feeling balanced and healthy, not weak and hungry. Plus, Eniva's Program can be used WITH food – you don't need to starve yourself; the program works even when you choose to consume food during the routine. Some Detox and Cleanse programs can be quite aggressive for your system and may make you feel uncomfortable. Eniva's program is subtle, comfortable and easy to use – just mix with your water or juice. Many Detox and Cleanse Diets break off suddenly, leaving you without a bridge to easily move to healthy habits. 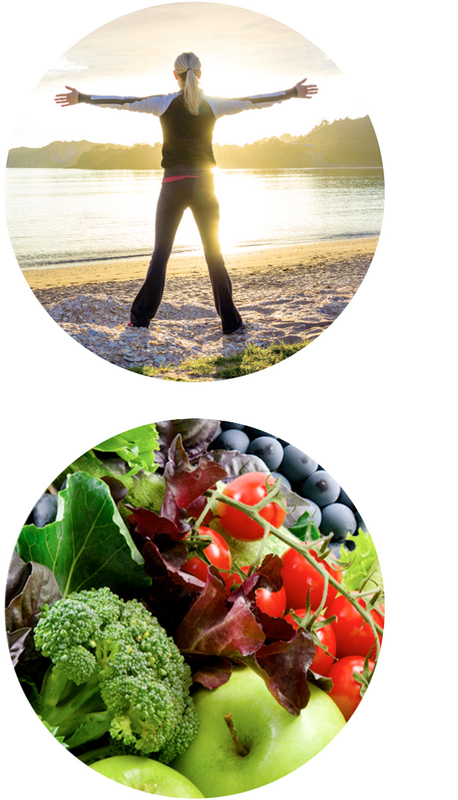 Eniva's Program gives you an ongoing plan to maintain good nutrition for the long term. Many Detox and Cleanse programs can run you $200 to $300, depending on the exotic herbals and components of the regimen. Eniva's program is affordable, making the benefits available to people seeking wellness for a reasonable cost. Mind/Body Connection* – The overall process of releasing unwanted substances the body is holding onto can have a cathartic effect for a number of other emotional and physiologic conditions, too. With a Cleanse, the body systems, including adrenals, get the chance to begin fresh in a healthy pattern. You may find you can deal with stress better, without getting overwhelmed. * You may also notice a lessening of feeling “blue,” anxious or angry. * Be sure to incorporate other healthy mind and body practices, such as breathing, meditation and relaxation. Scientific References: Data on file, Eniva Corporation, 2019. Customer experiences noted above do not imply that similar results will happen with your use of our products, or that the experience indicated is due directly to the use of our products. The Detox & Cleanse program is not a weight loss program. I've tried detox programs before but I didn't like how I had to fast. Plus they made me give up a whole bunch of foods. This Eniva one was so easy -- I just mixed up the products in a smoothie twice a day and. Super simple. I feel great, and I'll do this one again, for sure. I tried this because my body was getting so sluggish and tired all the time. Wow -- I love how I feel now that I'm done. I feel supercharged! And I lost an inch on my waist too, which wasn't why I tried it, but thanks for that too. I seriously ate normal, took the products and had great results. Going to do again before my upcoming class reunion. Only thing I had to get used to was drinking more water, which I guess I am supposed to do anyway. Highly recommend. I did the Eniva detox and Whole Body Natural Cleanse Kit! I lost 5ibs and 4"off my waist and I feel great! I am a believer in this line of products. This product was great. I was able to loose 3 pounds in 7 days and it curbed my appetite. Felt way more energetic when I was done too. So glad it didn't make me fast. I'm going to do it again in a few months.